Welcome to GlowZone 360, the GTA’s Active Entertainment Centre. 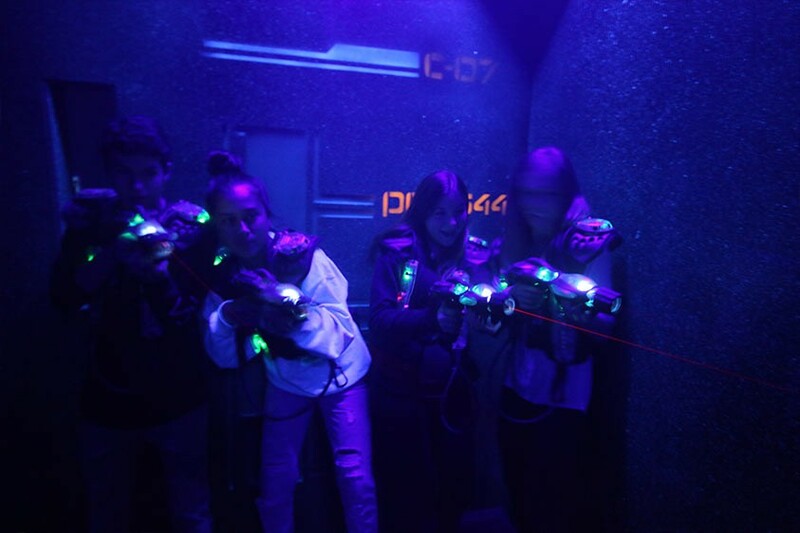 We offer 18-holes of Glow-in-the-Dark Mini Golf, Arena X Laser Tag, a large arcade and party areas at our two incredible locations. The four partners envisioned GlowZone locations as a place where family and friends could connect in a fun, safe, active environment. The result is 15,000 square feet of indoor, black light space which sets the mood for an incredible experience. 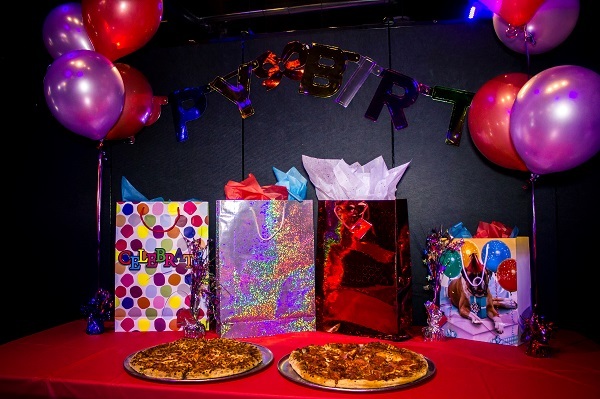 From late night fun with friends to birthday parties, date nights and corporate parties, the ambiance, activities and attentive staff make for a fantastic experience. Check out both the Brampton and Mississauga locations today! 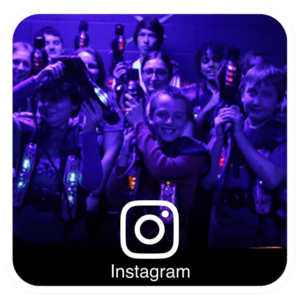 Arena X Laser Tag takes the game to the next level. With over 40 play modes, in-game sensors and hacks, no two experiences are alike. The strategy is just as important as accuracy if you hope to emerge victorious from the arena. The arena at each location is configured differently, presenting their own fun challenges. Parties and groups can choose their gameplay type and staff randomly switch things up during public games so that every game is a new experience. Membership allows you to get ranked against the best players within the GlowZone Community and across North America as you play to open more gameplay hacks to give you advantages during your time in the arena. 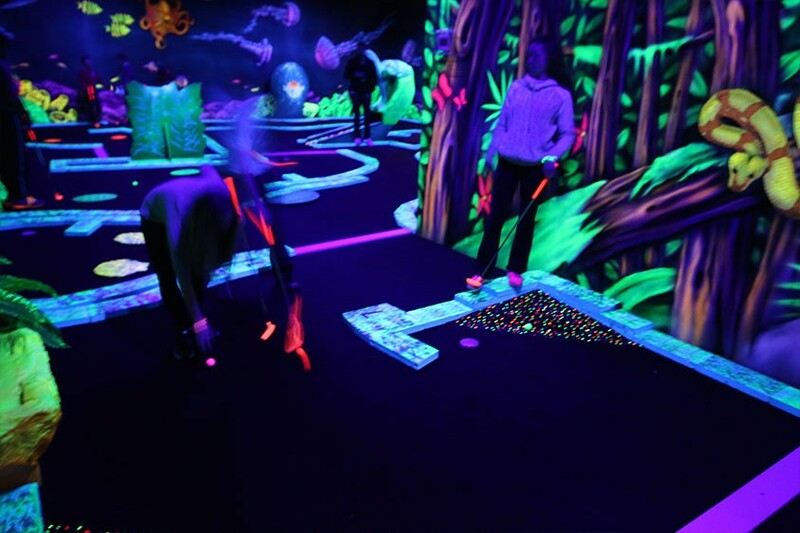 Challenge yourself and your friends at either or both of our 18-hole glow-in-the-dark mini-golf courses. The themed courses transport you from the bottom of the sea to the far reaches of space as you wind your way through the 18 themed holes. The courses in Brampton and Mississauga are completely different, so make sure to check out both. Excitement abounds in our large, spacious redemption arcade as guests challenge their skills to hit the ever-elusive jackpots. 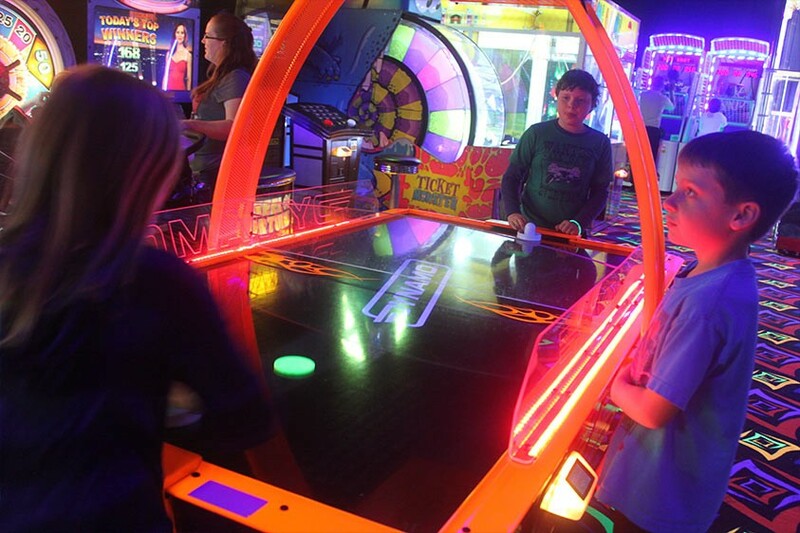 Each GlowZone 360 arcade features the latest and greatest in eye-popping redemption and video games. Our ticketless system allows you to save both your credits and “ticket” on your play card so that you can save up for bigger, better redemption prizes. That’s if you have the willpower to do so…. 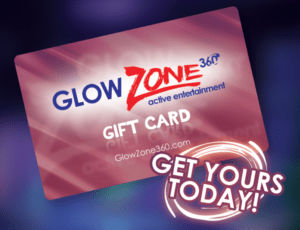 The best part is you can use your play card at both GlowZone locations, making it an important item to keep in your wallet or purse.